You do not require a credit card to confirm the reservation. You must have a credit card when the car is picked up. You do require a credit card and the credit card owner present to sign the Rental Agreement when collecting the car. The terms and conditions on the booking page will display the rental requirements of your supplier – each vary slightly. Please note, pre-paid credit cards will not be accepted, ie. Bopo cards. Avis and Hertz will accept debit cards (not pre-paid cards) with the Visa/Mastercard emblem at most locations. This excludes any luxury fleet bookings. Budget and Thrifty will accept debit cards (not prepaid) with the Visa/Mastercard emblem embossed on them at most major locations. This excludes luxury fleet bookings and may require an additional bond upfront. Europcar will accept debit card in limited circumstances on some standard passenger vehicles (not luxury, specialty or vans). Payment by debit card requires a bond to be paid at the start of the rental, and refunded on return. Europcar states if payment is by Debit card, the renter must also reduce their loss damage waiver. Always refer to the supplier terms and conditions – to clarify their requirements, or refer to our Contact Us page. Will my overseas drivers licence work for Australia? If you have held a valid, unrestricted drivers licence, for a minimum of 12 months and it is in English, you will not require an international permit. If you do not have these prerequisites then you will need an international permit. All documents must be original. No photocopies are recognised. How do I add a child seat to my booking? Child seats can only be added once your booking has been confirmed. Option 1 – add the request on the booking page – if Pickup is more than 48 hrs away. Our team respond in 1 business day. 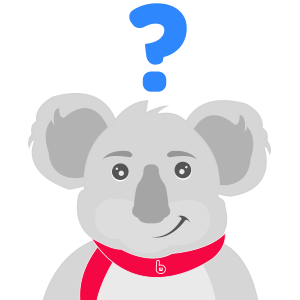 Option 2 – Contact BargainWheels.com.au by replying to the automated confirmation email advising babies age in months/years. Option 3 – contact the supplier directly. Check confirmation Email for details. Option 4 : BYO!! Take your own baby seat with you. How do I add GPS to my booking? Will change in reservation date alter the price? Modifying or changing the booking date location or times, will mean the suppliers re-calculate the booking rates to when you change the booking. This can mean rates go up, or down! It is always best to check all FIVE suppliers – to get the best deal! Am I insured? What are the options available for car rental excess cover? This answer is LONG but IMPORTANT! Basic insurance is included in the supplier rates, however, in the event of damage to the rental car – each supplier has a damage excess fee. The damage excess fee varies for each supplier, and is around $3000 (higher for specialty/luxury fleet). This is the amount the supplier will charge (up to), if there is damage to their vehicle. Costs are covered after that excess damage fee amount. When you have decided on the supplier details are displayed at the top of their Terms and Conditions of rental “Included in this quote”. Their terms will display the excess fee specific to that supplier. Check our page explaining options here: Insurance and protection information. Do you have travel insurance cover, or credit card cover, to cover the excess damage fee? Check out car hire excess insurance with Hiccup Insurance. Excess reduction from the supplier can be accepted at the counter – the most convenient way for worry free travel. There are varying levels of protection that will be offered at the counter – excess reduction, and also the full protection packaging. Refer to the terms and conditions of the suppliers (from around $30 per day). In the unfortunate event that there is damage to the vehicle, the supplier will charge up to the damage excess fee on the contract – regardless of your own personal cover. The excess reduction is not compulsory in Australia. It is an optional extra offered to you when the vehicle is collected. If there is damage to the vehicle, the car rental companies will charge the excess on the Rental Agreement, if any damage is identified at the return of the vehicle or soon after. Your personal insurance circumstance is not taken into account, until you make claim with them, and it is processed. Pages to reference. No Cancellation fees on BargainWheels.com.au!! The booking can be cancelled with no charge! No credit card required to make a booking. The credit card is not required until the vehicle is collected. I have 6 or 7 or 8 passengers. What group should I book? The “VAN” group seats 8 people. No other group offer more than 5 seats. They need to be booked early, as they are always in high demand. When you reach the car comparison with all the available vehicles, scroll to the bottom and look for “van”. Suppliers currently have Hyundai Imax, Kia Carnival, and Toyota Tarago in the 8 seat “van” group. I don’t have a credit card, can I use a friends/family members? If you wish to use someone elses credit card – they will be required to be with you to pick up the car. They will sign the rental agreement as the “renter” – and need to also provide a photo ID to suppliers. You may need to pay an extra fee to be added on the rental agreement as a second driver as the credit card holder will be considered the driver. How do I view, cancel or modify my booking? Contact us if you want to modify or cancel your booking. Suppliers re-calculate the reservation rate if pickup times, dates or locations are amended. Please Note: All extra add-ons will attract additional percentage taxes and surcharges. Any modification to the reservation may alter the price. What if I want to modify my booking? Refer to your confirmation email – scroll to the bottom and look for “modify booking”. The link will take you to the right place! Alternatives are visit www.BargainWheels.com.au – top right hand side of our home page – “My Booking” OR reply to the confirmation email with your request, and our team will follow this up for you. Remember to check all suppliers on the comparison – there may be better deals!! No cancellation fees if you rebook! The car I want isn’t listed? Often it can mean the vehicle group is sold out. Light commercials such as 12 seat vehicles, utes and moving trucks are available by using our links on our sister site here or contact our Customer Care Team. Why are flight details important? There are two important reasons why this information is helpful on reservations. The flight information indicates to the Car Rental Company where to have your vehicle parked to be closest to your flight arrival. There are usually kiosks at both domestic and international terminals. Delays can occur if no flight numbers are available. Also, if your flight is delayed, the Car Rental Companies will ensure a staff member is available for a confirmed reservation. Hint: if you are delayed – visit the counter of the supplier at your departing airport. Counter staff will provide information local to your depot of pickup. The most popular option is to contact the toll provider after travelling the toll road – within 72 hours (Melbourne, Brisbane) or 48hours (Sydney). Why is it more expensive when I say I’m a foreign customer? The differences in price are due to different insurance regulations in each country, eg. some residents have lower quotes as most credit cards carry insurance and so they do not need to be charged extra. Each different country has a different rate that needs to be charged according to the insurance terms and conditions of each rental supplier. These laws make some rates slightly higher than some others. Unfortunately this is unavoidable and part of the conditions of renting a car. The suppliers can ask for proof of residency to be eligible for any discounts – you must choose “Driver residency” – according to where you currently reside. Make sure you have a document to prove this (e.g. if your licence is not the same address as your answer to “Driver residency” then take a phone bill, etc. to prove it).